Over the past several years, more and more seniors have decided to age in place instead of moving into a nursing home or other form of retirement facility. 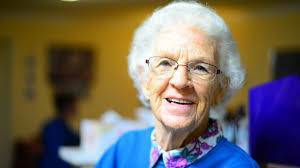 This allows them to lead more independent lives, but aging naturally brings more physical and mental challenges that can make living alone more difficult. They may need help with everyday activities, such as housekeeping, running errands, and meal preparation, or they may need help with personal grooming like bathing and dressing. Some families choose to have a family member act as a caregiver, but busy schedules often mean this won’t work for many families. In other cases, senior relatives live too far from other family members. Home health care services are a perfect option for people who want to live on their own but need a little help. It’s possible for a family to hire a caregiver on their own, but it’s difficult to determine qualifications, especially if the family is far from where their loved one lives. Most people don’t know what qualifications to look for and they don’t have the resources to run background checks. At Assisting Hands Home Care, we help seniors and adults with disabilities stay in their own homes by providing high quality caregivers to help them with a variety of tasks. All of our aides are thoroughly screened before being offered employment and they are also bonded and insured. We provide training to ensure they have the necessary skills to provide your loved one with the care they need while treating them with compassion and respect. Personal Care. We can help clients with all types of daily grooming activities including bathing, dressing, using the restroom, and brushing teeth. Meal Preparation. Some seniors don’t want to go to the trouble of cooking for one, but prepacked meals or eating out can be expensive and unhealthy. Others may not stick to doctor recommended diets. We can prepare delicious meals that meet any dietary restrictions and we provide assistance to those who need help eating. Transportation. Losing the ability to drive is a blow to independence, especially in areas without access to reliable, safe public transportation. Our caregivers can take clients to the grocery store, doctors’ appointments, and other destinations to ensure they can maintain an active life. Light Housekeeping. It can be difficult to keep a home clean when you can’t see the dust or reach cobwebs. The staff at Assisting Hands Home Care can help with light housekeeping such as laundry, dishwashing, and general cleaning to ensure our clients’ homes stay tidy and hygienic. Companionship. We don’t see our clients as something to manage; we build personal relationships with them so we can provide excellent companionship. Our caregivers engage in fun activities and conversations with clients that benefit everyone. Live-In Care. Assisting Hands provides live-in caregivers for clients who need someone in the home at all times to provide assistance. This allows them to age in place where they feel most comfortable and is a lower cost alternative to nursing homes. 24-Hour Care. This type of care is designed for clients who need someone who will be on call at all times in case they are needed. This differs from live-in care, where the caregiver sleeps at night. With 24-hour care, there are 2-3 rotating caregivers in the home to ensure someone is always awake. This is best suited for clients with disabilities or other medical conditions that may need attention at any time. Care Management. Our aides remind clients to take medications at the right times and make sure they follow all recommendations for diet, exercise, and rest. In many situations, family members step in when a loved one needs assistance, but that’s not always the best solution. It’s difficult to juggle work, a family, and caregiving duties and it gets worse if the family member needs more specialized care. Hiring an independent caregiver can help, but it’s difficult to interview people during work hours, especially if more than one family member wants to be involved. You have to deal with payroll, taxes, insurance and human resource problems, not to mention finding a substitute if the caregiver gets sick or goes on vacation. Assisting Hands Home Care takes care of all these issues and more. We make sure our caregivers are thoroughly screened, trained, licensed and bonded before they work with clients. We manage all payroll and HR issues and arrange for replacements in case of illness or vacations. If you have a loved one who needs any amount of assistance in Des Plaines, IL, call the compassionate caregivers at Assisting Hands Home Care at (847) 915-6186. We’ll work with you to create a care plan that will let your loved ones age in place and live a comfortable, secure life.